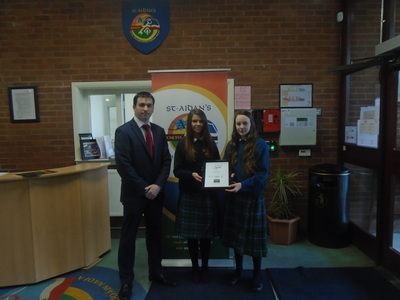 This is the third year that St. Aidan’s Comprehensive School has participated in this award. Students had to submit an on-line application form where they gave a comprehensive account of the voluntary work that they took part in. The two students that got through for national judging were Sheree Jordan in sixth year for her voluntary work with young people, helping out with the bible activity week and the children’s discovery club in Cootehill Presbyterian Church and Annagh Mc Breen in first year with the help of her sister Clodagh for her work with Downs Syndrome Ireland and the local branch in Cavan. 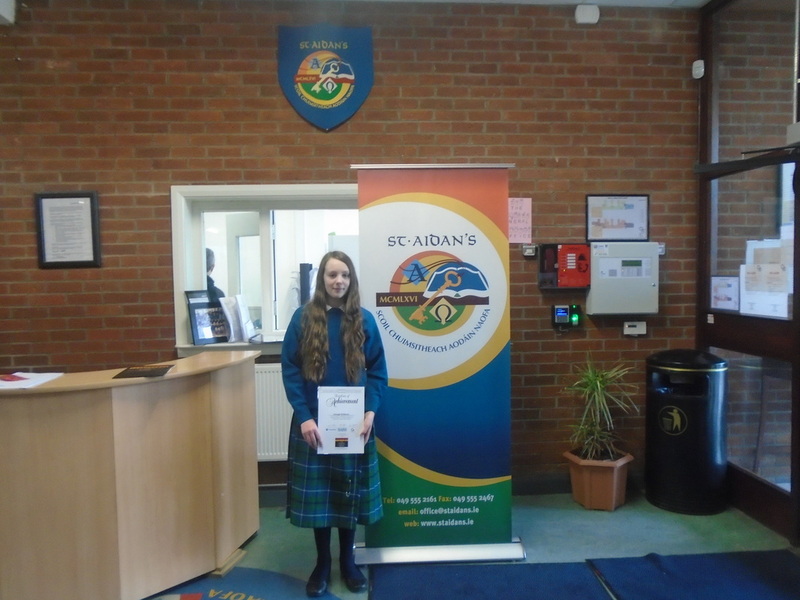 We are delighted to announce that Annagh McBreen has been named as one of the twenty finalists in the 2016 Pramerica Spirit of Community Awards programme. 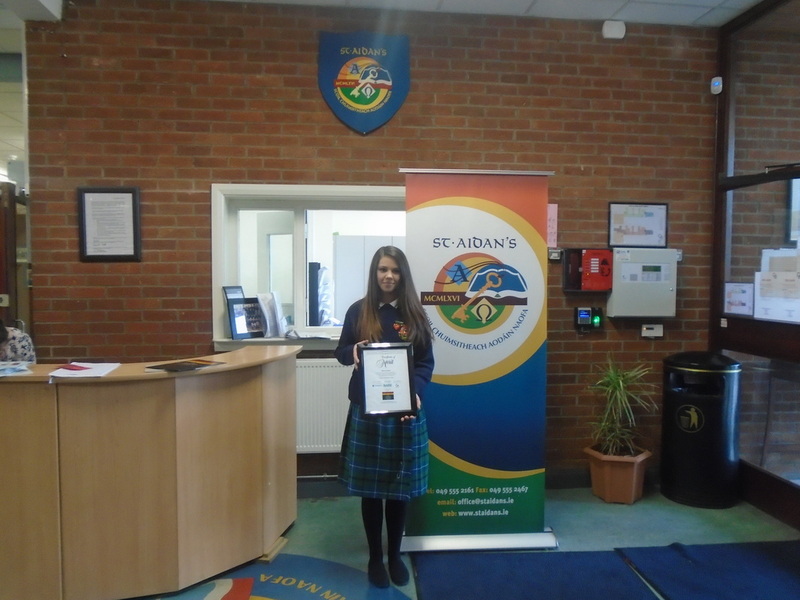 Annagh will be presented with her award on 10th march 2016 at a gala awards dinner in Lough Eske Castle Hotel in Donegal.This is a huge achievement and we wish Annagh every success in the finals on the 10th March. The Pramerica Spirit of Community Award, rewards second level students for voluntary work carried out in their communities. The award provides an opportunity to salute deserving students and inspire young people to get involved in community service activities. We hope that the commitment shown by Annagh and Sheree will encourage others to take part in voluntary work in their community and hopefully we will have lots of applicants for this award next year. You can visit the following web site for further information: www.pramerica.ie/spirit or speak to Ms Hetherton.